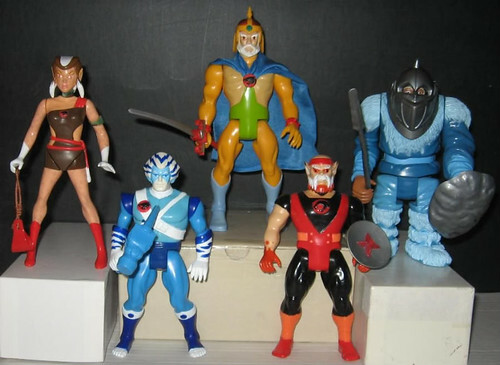 AFB Presents Starman's Toys I Grew Up With: Thundercats! We're back with a new installment of vintage toy reviews from our friend Starman. 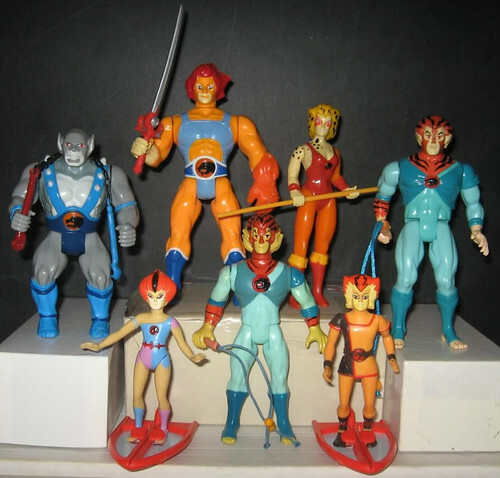 This month he's looking at the original Thundercats figures, which are soon to have some modern counterparts! 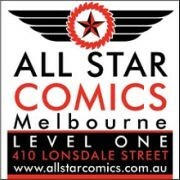 Without further ado, over to Stars! I really don't think these guys need any introduction, so I'll just get straight to showing you my collection. I figured this would be a timely piece since the new Thundercats have been revealed at Toy Fair recently. Okay, to the figures. First off, at the left, we have the stars of the show! Baddies! Note the repaint of Mumm-Ra's helmet and a homemade cape! Capt. 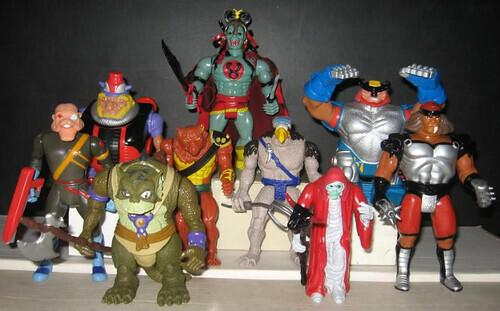 Shiner, Ram-Bam, S-S-Slythe, Jackalman, Mumm-Ra, Vultureman, Mumm-Ra (old), Cruncher, Grune. EXPENSIVE!!!!!! Well, except the Snowman. Pumyra, Ben Gali, Jaga, Lynx-O, Snowman of Hook Mountain. The only others I want at this point are Mongor, Monkian and Hammerhand. I've had several opportunities to get them, but the pieces were always in a condition than I found less than acceptable for my collection. You can discuss this at the AFB Forum, and comment on this post to enter the March AFB Comment of the Month Contest! Aw man, you've inspired me to go back and re-read my Thundercats comcis! I've got nearly the whole original British run (about 120 comics) and they are just as good as when I read them when I was 8. Very nice collection. Mine pails in comparison. These are such great fun Stars! Thunder thunder thunder thunder cats! Wow, I used to love them, though I never developed such a great collection a figures like this. Oh man, that really takes me back to when I used to rate toys on playability and action features. When we were so innocent and plastic was so shiny. 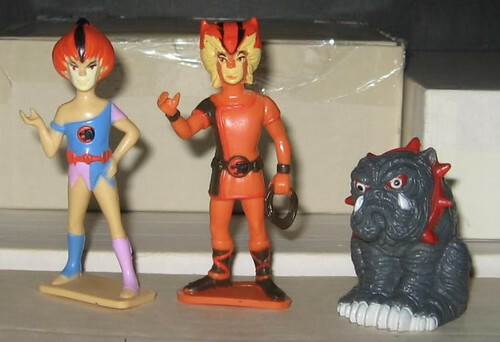 Those Thunder Cats Action Figures are now a collector's item. I can't find those in any toy stores nowadays.